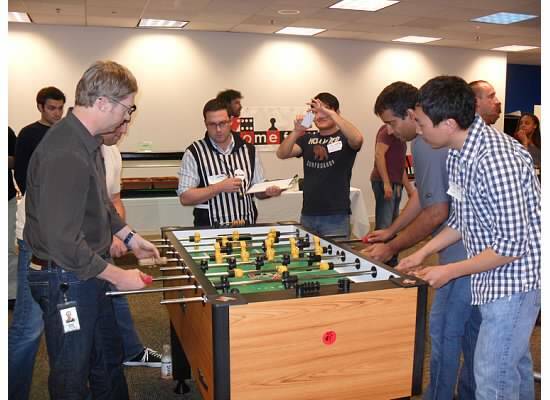 homefrys organizes tech tourneys that pit techie against techie at Foosball, Ping Pong, Video Games, & More hosted by Tech Cos including Google, Yelp, Rackspace, Kiva, & More. We organized FoosBrawl 2012 http://www.FoosBrawl.com and Silicon Valley Pong - Yelp Open http://pong.homefrys.com. And we're organizing the Yammer Open featuring Street Fighter II Turbo in September (more info coming soon). If you're part of the tech community, sign up to Hear About Future Tech Tourneys Below. 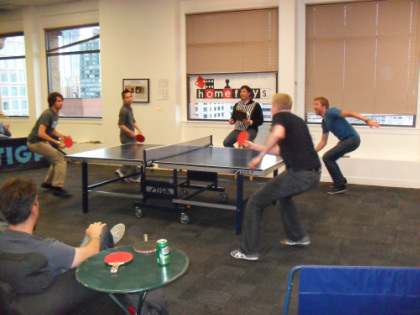 Contact Us to Host Future Tech Tourneys at techtourneys@homefrys.com and we'll be in touch re details.